Learning Paths School offers a structured sports program that inspires and enables students to achieve beyond their expectations. School sport offers the school community opportunities to build a strong identity and culture of excellence. Traditional values of respect, fairness, responsibility and resilience are developed as part of students’ participation. School sports and physical education is focussed on improving students’ concentration, memory, behaviour and academic performance. The emphasis is engaging every child in every class and teaching skills in an age-appropriate fashion. 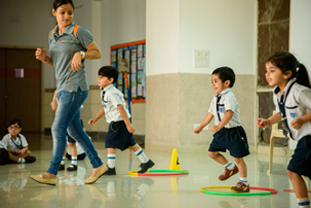 Pre Primary Sports – Learning Paths School runs a collaborative program with Edusports for its Pre-Primary Wing. Learning Paths School follows a child-centric preschool infrastructure design methodology,which provides a safe and hygienic environment with a crisp colourful ambience for their all round growth and development. Fun Races are exactly that! 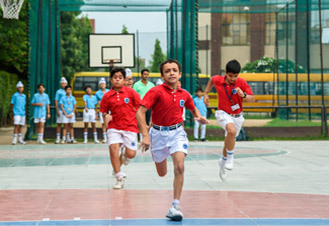 An event for the students of pre-primary, the races are designed around a theme, keeping in mind the skills that the students learn in their regular sports classes. With everyone participating, students run their races house wise against peers from the same Form and the driving force is enjoyment and fun rather than competition. 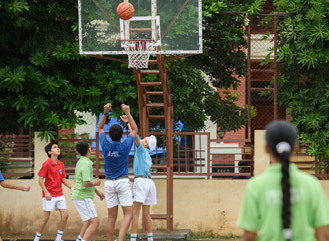 Regular Inter house matches are conducted in basketball, cricket, table tennis, skating and chess. 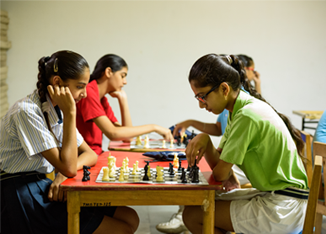 Opportunity is given to each child to participate through intra-house matches before the final matches. A much awaited event of the year, the Sports Day, due to its unique format, pays tribute to individual excellence as well as team work. Awards are given to the best athlete – boy and girl, on the basis of the total number of gold medals won, in each grade. To reward the spirit of sports, annual trophy in given to house with most medals. Learning Paths conducts participates and conducts various inter-school tournaments to promote sports in the region.